This year, I decided to give the Sun Kissed Boys’ teachers homemade gifts. 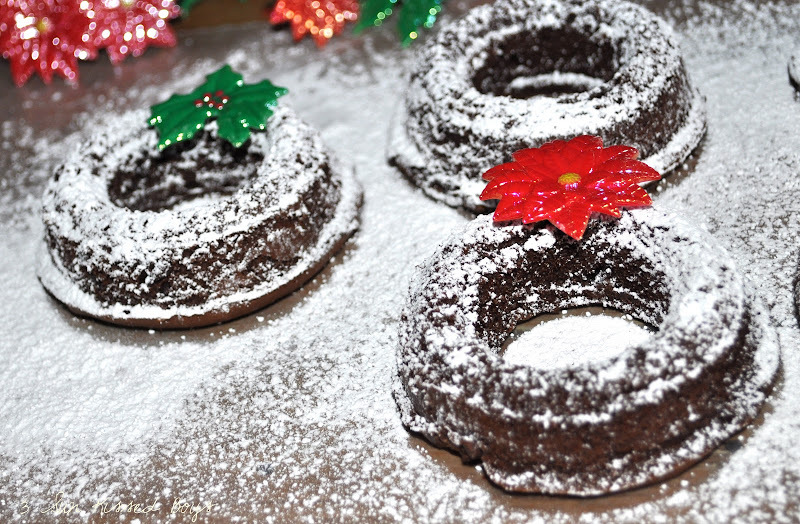 I baked miniature bundt cakes and included the recipe. 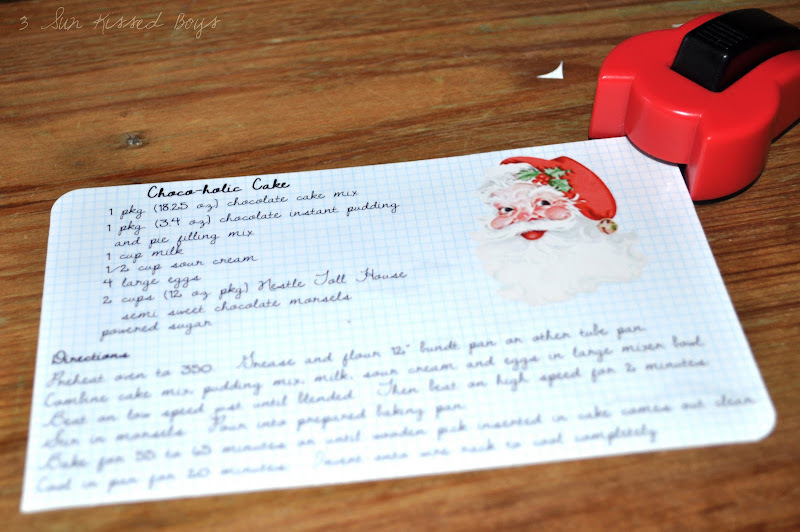 I used a vintage Santa image from The Graphics Fairy and graph background from Pugly Pixel. I also made personalized Christmas ornaments. 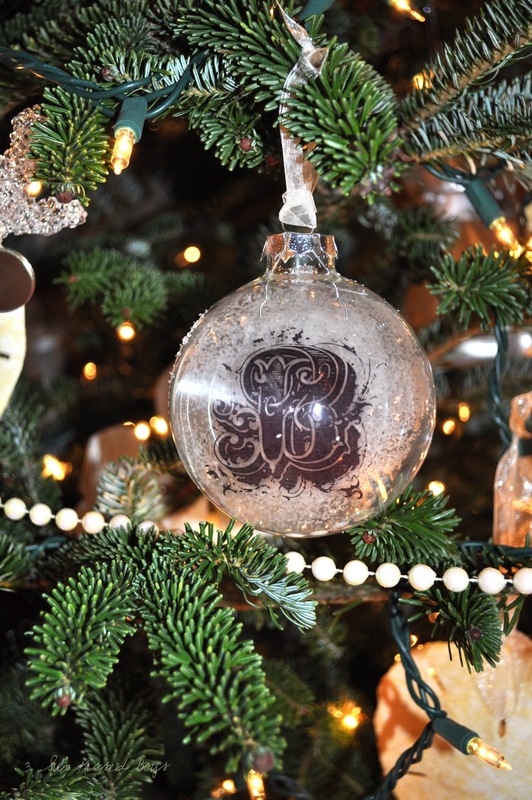 I'm not sure if you can tell from the picture but the initial is inside the ornament and looks like it’s floating. Here’s the tutorial how I put it together. 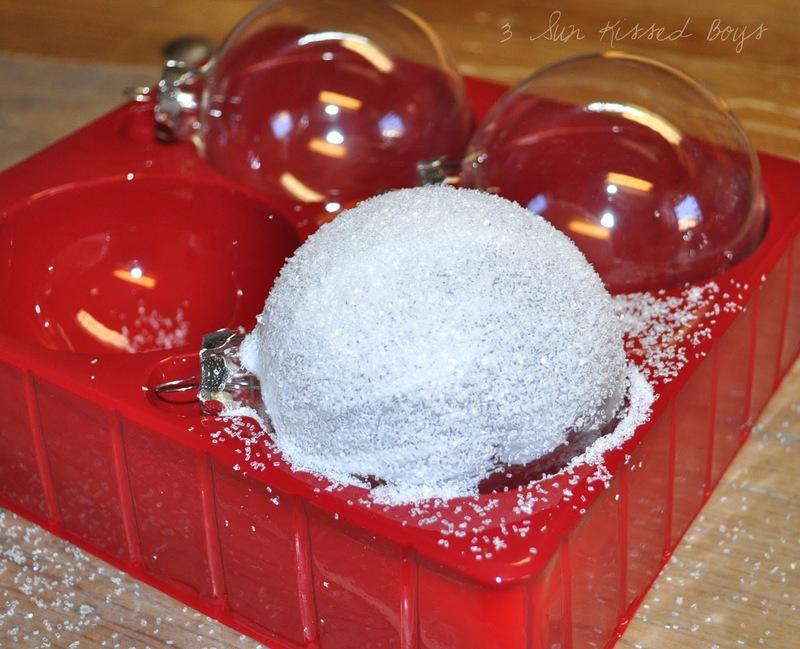 Brush half of a clear glass ornament ball with ModgePodge. Use the box they came in as a “stand”. 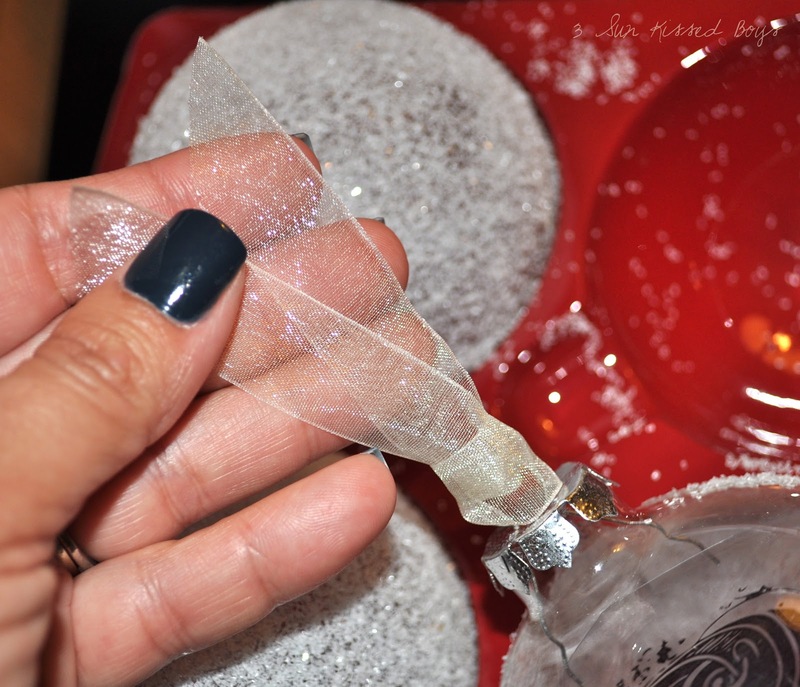 While the glue is still wet, sprinkle with glitter. Let dry overnight. Print initials on transparency film made for ink jet printers. 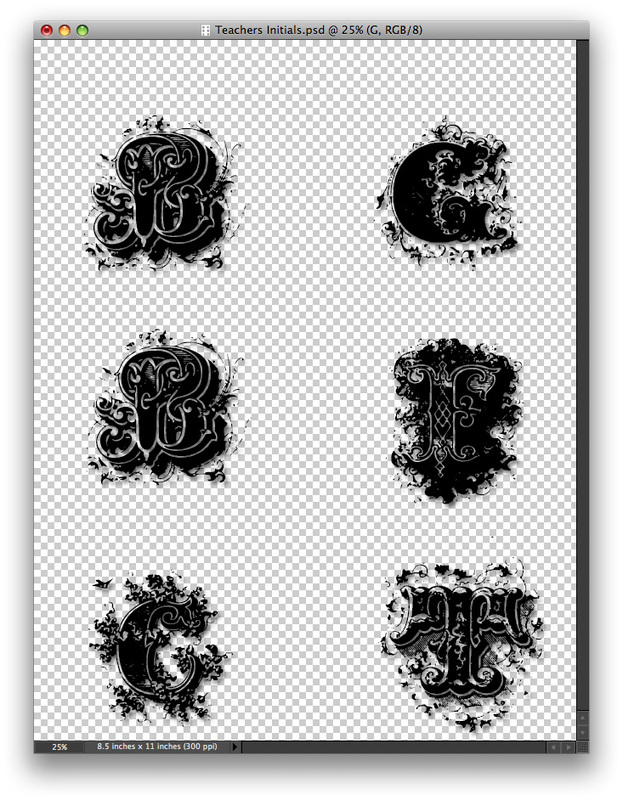 I had planned on using a simpler font and then layering on embellishments around the initial so I used Photoshop. As it turned out, I used a fancy font therefore no more embellishments were needed. So I could have used any word processing software. 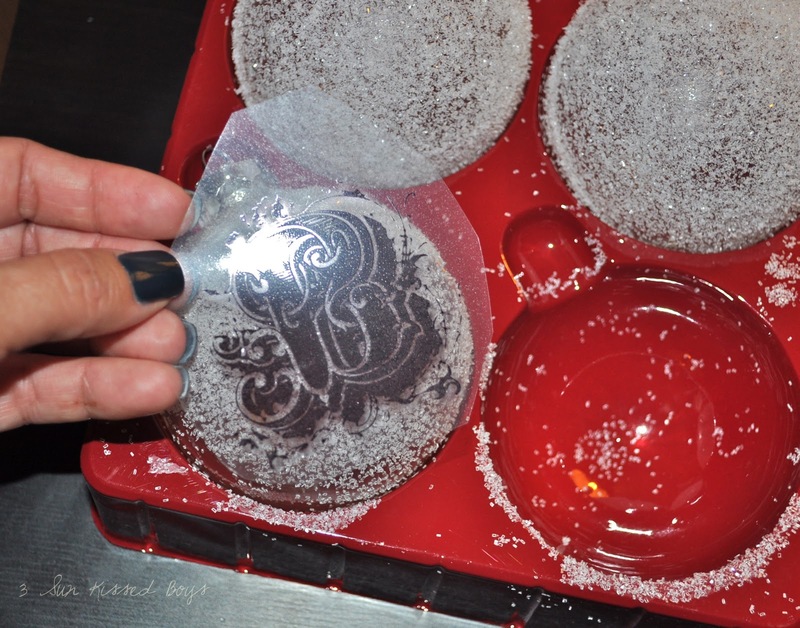 Cut film in shape of ornament. It doesn’t have to be precise. 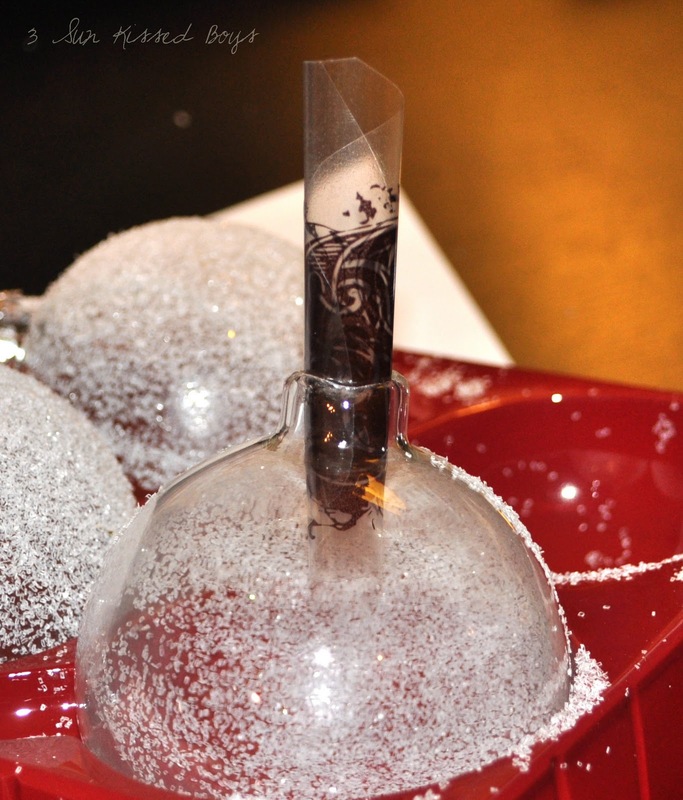 Roll up film and put inside ornament. Use tweezers to adjust image. Put wire and top back on ornament and thread ribbon. 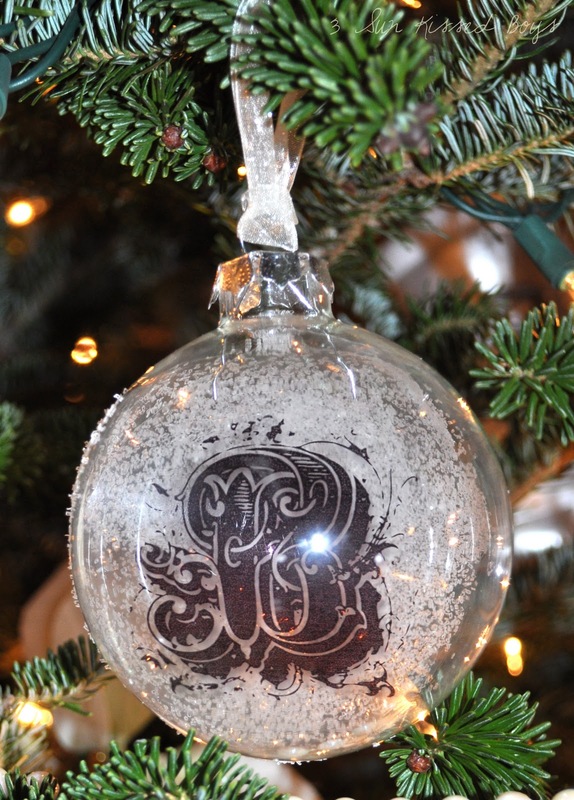 Your ornament is now ready to hang or be gift-wrapped. I liked how they turned out so much that I decided to make some for our tree. I used photos instead of initials. If you use white glitter, I don’t recommend close-up photos or photos with light backgrounds. These were small tokens for the teachers in comparison to how much I appreciate them. But I hope they realize that they were made with a bunch of love. Love this idea! I just picked up a box of these ornaments too. Do you think vellum paper would work the same? I'm thinking it's not clear enough though. Very pretty ornaments! I love how you can stick anything inside to make it look like it's floating. I have to try that next year! Yanet, you did a TON of work on all of this. I can only hope they'll appreciate it all. So, when will mine be arriving? I'm not your kids' teacher…as if you didn't know that. Cute ornaments! Have a Merry Christmas! Those are so pretty Yanet!! The cakes look so yummy too!!!! Those are awesome! I wish you'd posted this 2 weeks ago, I would have totally swiped it. these are great! what a neat idea! what an awesome idea. these turned out great! 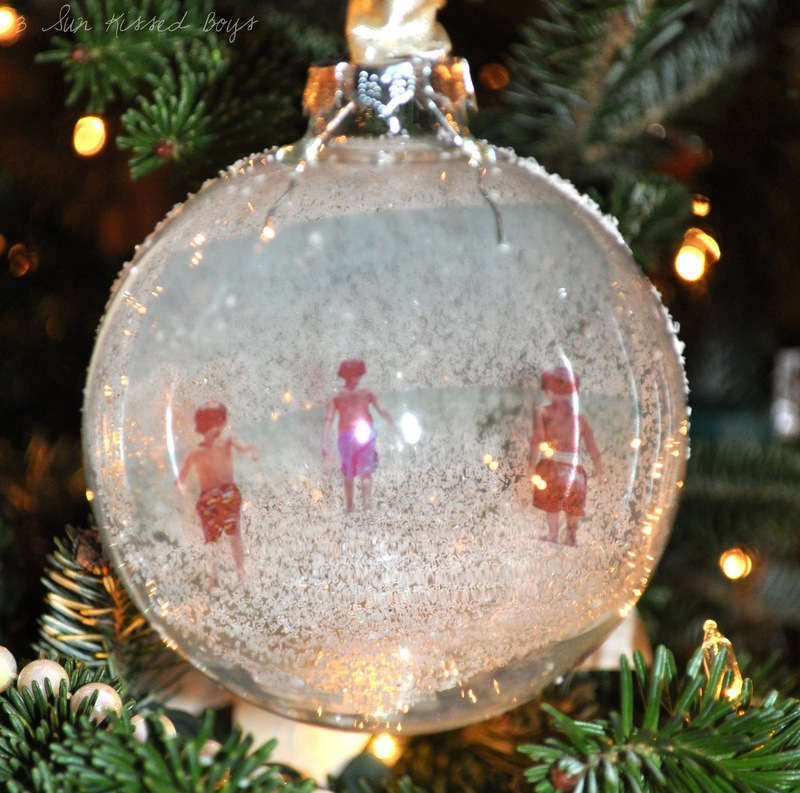 I love the ornament with the pic of the boys walking towards the ocean. That pic is one of my favorites by far! My mom made ornaments like this years ago when I was a young kid. 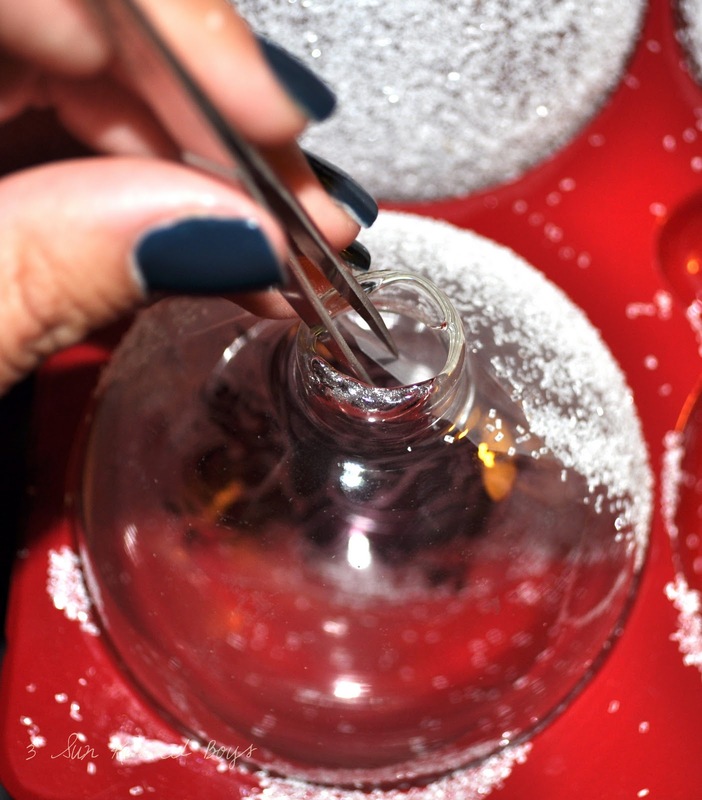 She got the clear ornaments that you used and then a clear gloss sealant was poured into the ornaments and then we quickly stired in glitter and some potporri. It actually looked pretty. 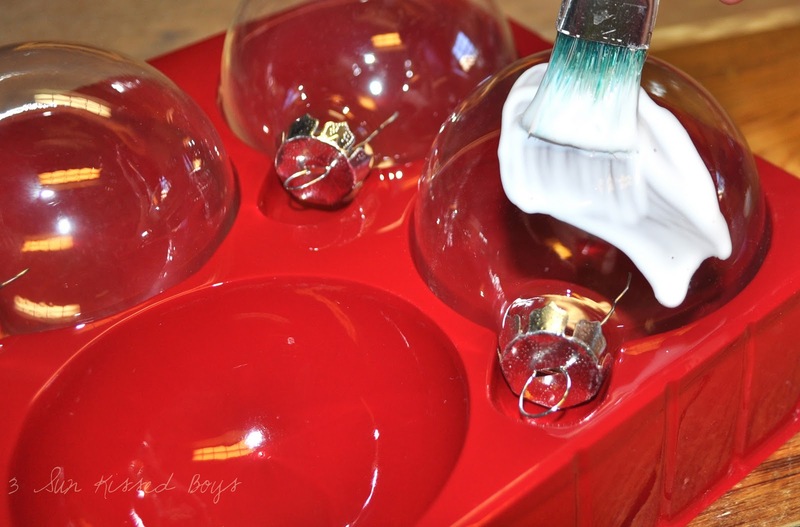 You only filled the ornament about 1/2 way with the sealant. Then of course they had to sit for a few days to "cure". They were really heavy ornaments but nice. This was back in the late 90's and it was like a huge craze in our small town. Also, your nails in this post look great! I have been thinking for days that I should turn my square nails into a more rounded shape but your nails look so great I am keeping them as they are! I really love it with the photo! So cute! It's linky party time again! I would love to have you come link up and enter my $50 American Express giveaway while you are there! What a great idea, I love it!!! Thanks for sharing. I love this idea! So cute...especially the one with the picture...I've added this to my files for next year - thanks for the inspiration!